Did you know that the Burritt Library subscribes to numerous collections of online resources that are available to our students, faculty and staff from both on and off campus? As a member of the CCSU community you have access to a wide ran ge of databases, e-journals, eBooks and other tools to support you in your studies, research and teaching! With so many resources available, it can be difficult to keep track of them all. 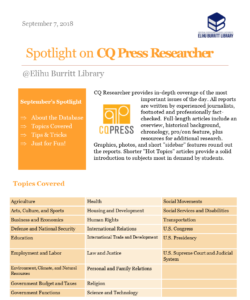 In our Spotlight series, we will highlight one of these resources each month to help connect our students and faculty with some of the unique resources available via the Elihu Burritt Library, and to offer some tips and tricks for using them. 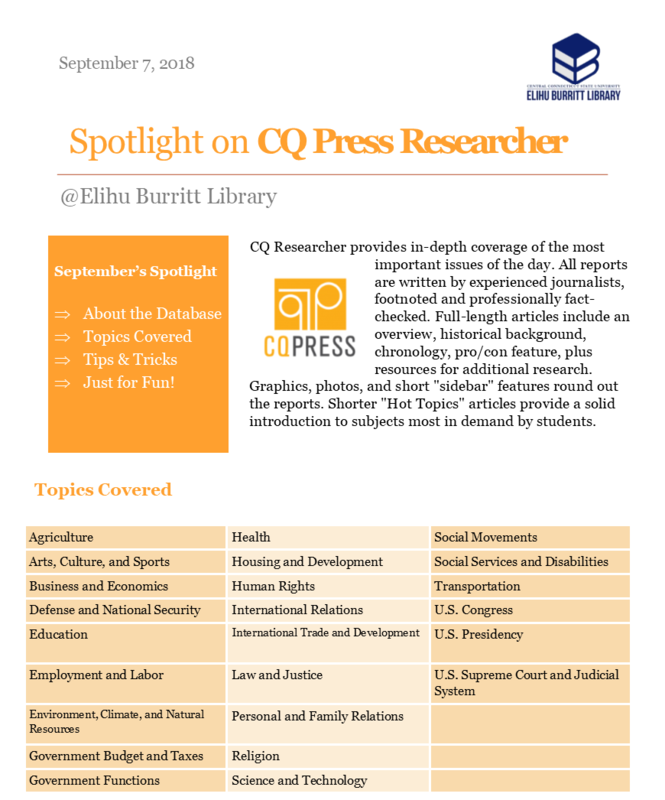 In our first installment of the Fall 2018 series, allow us to introduce you to CQ Press Researcher.